We're all bummed that Jason Segel won't be back to write and act in the next Muppet movie, but there is some good news! 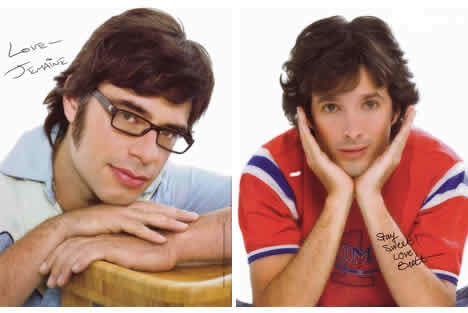 Flight of the Conchords' Bret ("Brit?") McKenzie will be returning to compose the film's score. McKenzie, who has long had it going on, won the 2012 Academy Award for Best Original Song for "Man or Muppet." His musical contribution to the film was great (though maybe a little derivative), but do you think there's any chance he could be on camera for the next one? Probably not, so let's dream on while looking at photos of his cute little elf face and reliving some of our favorite Bret moments.